over a year, sending their location using aprs. Hoshnasi KI6NAZ, and Jason Johnson KC5HWB are also back. Lets see what they are up to. Dave Casler might pop into the show live from QuartzFest if he can get connectivity. 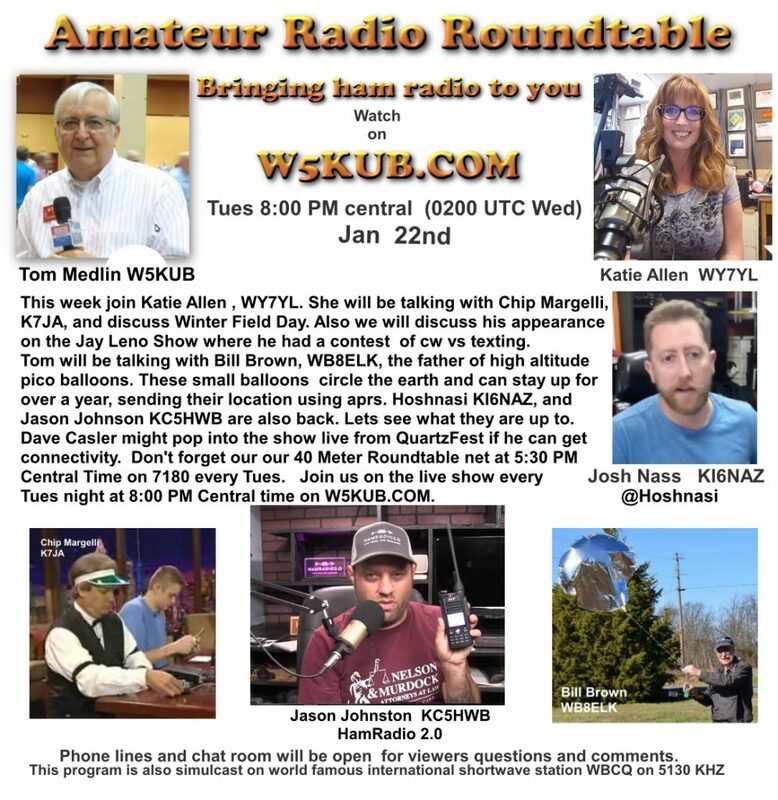 Don’t forget our our 40 Meter Roundtable net at 5:30 PM Central Time on 7180 every Tues. Join us on the live show every Tues night at 8:00 PM Central time on W5KUB.COM.